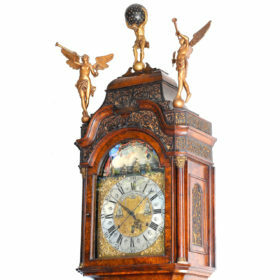 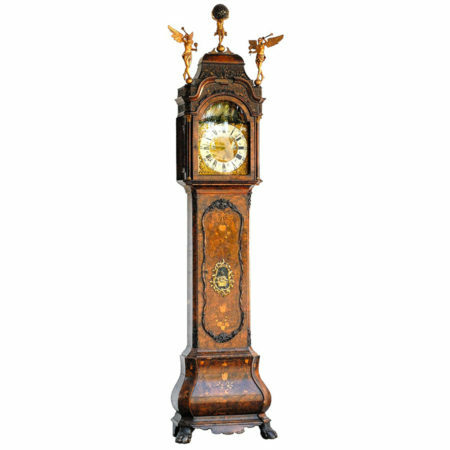 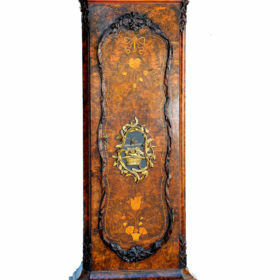 This stunning Dutch musical tall case clock is done in a beautiful burl walnut bombe case with a hand painted iron dial, engraved and silvered chapter rings, and sculpted blued steel hands by Jan Henkels of Amsterdam. 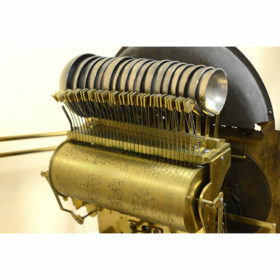 The complex three gear train movement plays 14 tunes on a nest of 17 bells with 34 hammers. 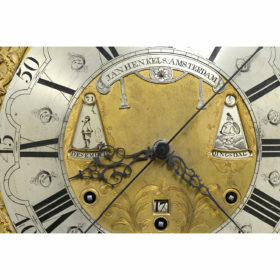 Full calendar workings show the signs of the zodiac, day, date, month, and phases of the moon and the tides at Amsterdam. 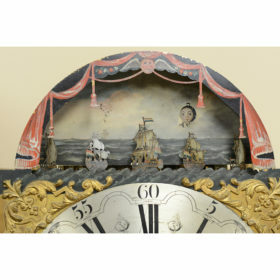 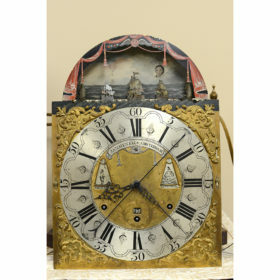 Continuous motion automaton in the dial features five rocking ships and oscillating waves. 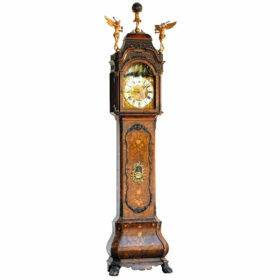 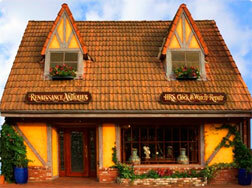 Fully restored with a 1 year warranty.